The Global Forecast System (GFS) was just updated by NOAA and it’s got some cool new features. Like every release it is expected to be more accurate. This particular update is cool because there are now hourly forecasts instead of every three hours – you can time that evening glass-off perfectly now. 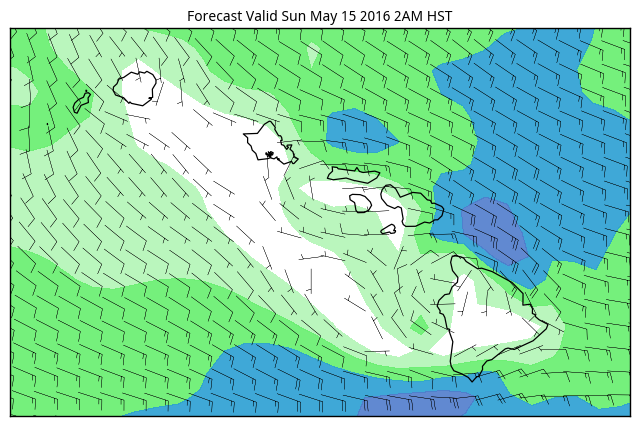 We’ve just implemented this on Swell Matrix’s Hawaii and Southern California overview wind forecasts. The other good thing about GFS updates is that more accurate wind forecasts equal better input into the wave forecasts. So keep an eye on the swell forecasts- they’re getting better and better.